In a triumphant return to the characters that launched his career two decades ago, Tom Drury travels back to Grouse County, the setting of his landmark debut, The End of Vandalism. 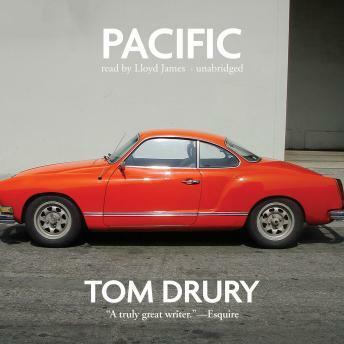 Drury's depictions of the stark beauty of the Midwest and the futility of American wanderlust have earned him comparisons to Raymond Carver, Sherwood Anderson, and Paul Auster. When fourteen-year-old Micah Darling travels to Los Angeles to reunite with the mother, who deserted him seven years ago, he finds himself out of his league in a land of magical freedom. He does new drugs with new people, falls in love with an enchanting but troubled equestrienne named Charlotte, and gets thrown out of school over the activities of a club called the New Luddites. Back in the Midwest, an ethereal young woman comes to Stone City on a mission that will unsettle the lives of everyone she meets-including Micah's half-sister, Lyris, who still fights fears of abandonment after a childhood in foster care, and Micah's father, Tiny, a petty thief. An investigation into the stranger's identity uncovers a darkly disturbed life, as parallel narratives of the comic and tragic, the mysterious and the everyday, unfold in both the country and the city. A portrait of two disparate communities united by the restlessness and desperate hope of their residents, Drury's haunted souls, adrift between promise and circumstance, reveal our infinite capacity to "get in and out of trouble in unexpected ways" and still find a semblance of peace at the end.